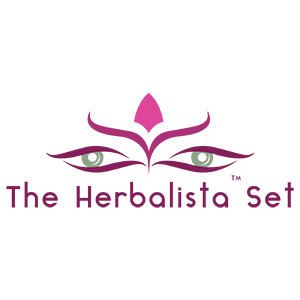 Contact The Herbalista Set, Inc.
Our mission is to honor the magic of the cannabis plant by placing it within the world of women. After all, the feminine flower of the cannabis plant is its most beautiful and desired element – shouldn’t a woman feel the same? We help women to find these feelings for themselves through our sales of stylish boxed gift sets of cannabis consumption products and our eight times per year Herbalista™ lifestyle subscription box. Customer Problem: Survey data indicate that women are 52% of the population, but only 39% of casual-to-regular consumers of cannabis. The differences between male and female alcohol consumption are insubstantial. Such a large differential with cannabis suggests that the negative stigma surrounding its use disproportionately affects women. Products: We currently operate from two business segments: Elevate and Attune. Elevate refers to our all-inclusive wooden box gift sets of cannabis consumption products, which come with CBD components currently, and THC elements in the future. Attune refers to our 8x per year subscription box, The Attunement Box. The key attraction of our products is our elevated, unique presentation of the modern female cannabis consumer. Target Market: We target all adult women. The essence of our brand is to speak to that part of women that is age-transcendent and universal. Geographically, the use of hemp-based CBD in our Elevate products allows them to be sold legally in all 50 states to anyone over the age of 18. The Attunement Box, not being comprised of consumption products, allows us to target infrequent or even non-consumers of cannabis. Sales/Marketing Strategy: As our offerings our wholly unique, not only within women’s cannabis products, but subscription boxes at large, we will place a large focus on organic coverage from social media influencers, bloggers, YouTubers, and traditional press. The Attunement Box is sold exclusively through our website. We target Elevate sales at 80% direct retail and 20% wholesale. Our wholesale focus is on unique dispensaries and eclectic gift shops whose values and aesthetics complement our own. Business Model: Attune segment sales are recurring-revenue-based subscriptions. Elevate revenues are generated from the one-time sale of our wood box gift sets. Competitors: We face competition on two fronts: subscription boxes and women’s brands. Women are a virtually untapped niche within the cannabis industry. Current women’s products come in the form of apparel, or luxury purses with integrated cannabis product storage elements. There are a number of colorful varieties of otherwise gender-neutral vaporizers with appeal to women. While most categories of subscription boxes are saturated with a dozen or more competitors, there is only one prevalent box with a more ethereal, esoteric focus. Competitive Advantage: Our vaporizer, resembling a tube of lipstick or mascara, is the first and only in the world to be designed exclusively with women in mind. The apparel and hand bag companies make very nice products, but do not provide complete brand experiences. The cannabis consumption subscription box market is saturated, and we question the need for month after month of pipes and rolling papers. Our focus for our subscription box is on handmade, hemp, and holistic living – popular themes with modern women. The Herbalista Set, Inc. added a press mention.